One of UNT's sealed 3D printers. It's manufacturing in an argon gas environment. A table of mostly metal objects manufactured with 3D printing in UNT's additive manufacturing lab. Inside a sealed, clear box filled with argon gas, one of UNT’s 3D machines is busy printing away, accompanied by its own humming, buzzing soundtrack. 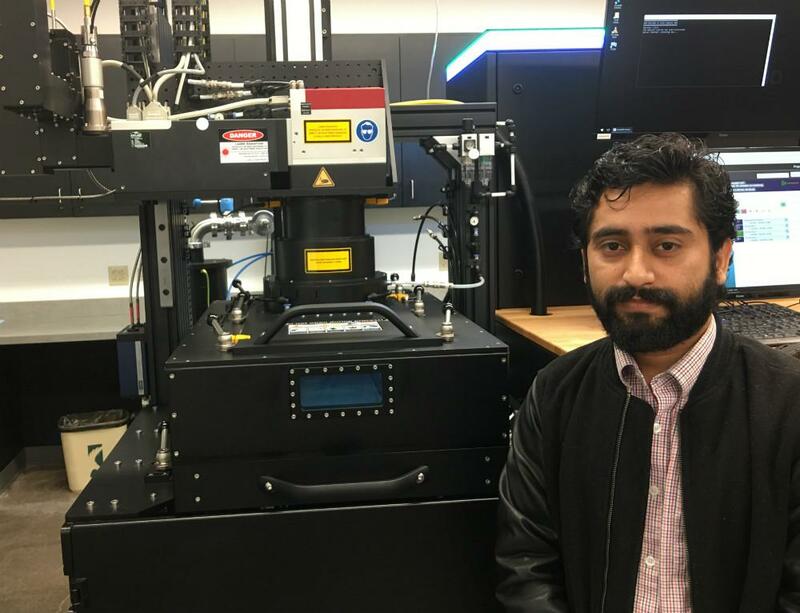 “For this particular thing we are making is actually a soft, magnetic alloy,” says UNT engineering Professor Raj Banerjee, who helped launch this new lab in November. Banerjee says this 3D printing process is also known as additive manufacturing. The printer adds material one thin layer at a time. Plastic pellets or metal powders are placed on a platform, heated with a laser before another layer goes on top of another and another until it’s done. UNT grad student Saket Thapliyal stands in front of a different 3D printer in UNT's new lab. 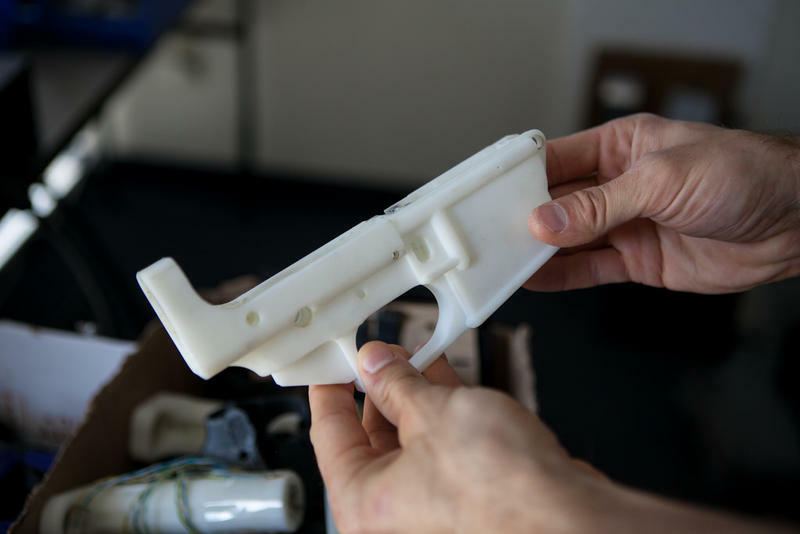 For 28 year-old graduate Saket Thapliyal, 3D printing is the future. But this lab is working to get it done. 3D printing has been around three decades even though to many it seems new. And while 3D objects look nice, there’s been a long-standing problem. They often fail — in medicine or aerospace — because they’re not durable. For example, Banerjee says 3D printed parts for high stakes jet engines have for years broken down. This lab’s working to solve that by creating completely new materials. Because, says UNT Research Professor Narendra Dahotre, who helped engineer this 3D lab, that will truly expand the horizons of additive manufacturing. “It will let us do things which were never possible to be done in the past,” Dahotre says. 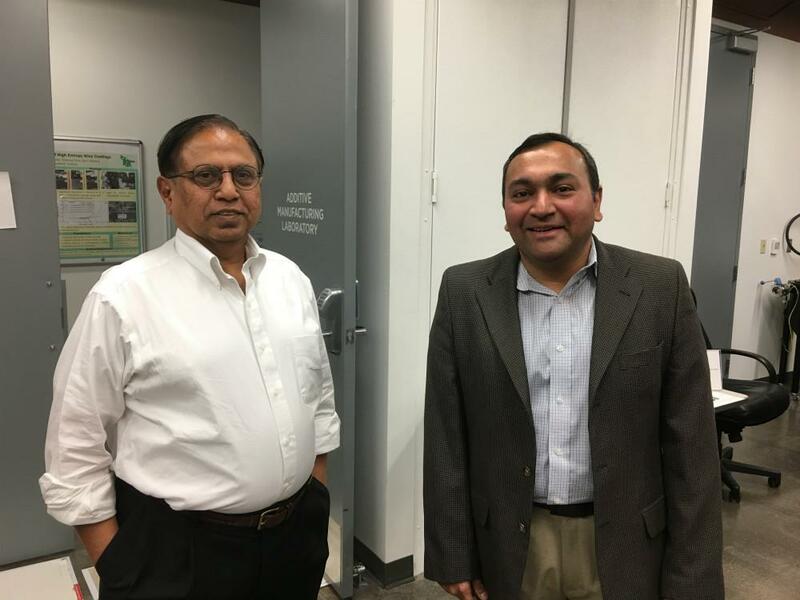 Narendra Dahotre, UNT Distinguished Research Professor, left; and Rajarshi Banerjee, Director of the Materials Research Facility at UNT. Things like creating the next generation of surgical pins and plates, which are currently made of titanium. Orthopedic surgeon Dane Wukich says that helps and hinders. “If you have a fracture and you put a plate in — a piece of metal — it provides an internal splint right away so your bone has support and you’re not flopping all over the place,” Wukich says. It's great for the broken bone, says Wukich, chair of orthopedic surgery at UT Southwestern Medical Center. But it's not great for the healthy bone on either side of the break. That bone needs stress to stay healthy. But Wukich says the stiff, titanium implant weakens it by taking on all that stress. Doctor Alan Jones, chief of orthopedics at Baylor University Medical Center, imagines a solution that doesn’t yet exist. “One thing would be to have a strongest part of the plate in the middle and then gradually become more flexible and stuff as you get to the end,” says Dr. Jones. Prototype for a new surgical plate consisting of different metals with different properties. It cannot be made without 3D printing, says Banerjee. That’s not possible with titanium alone. 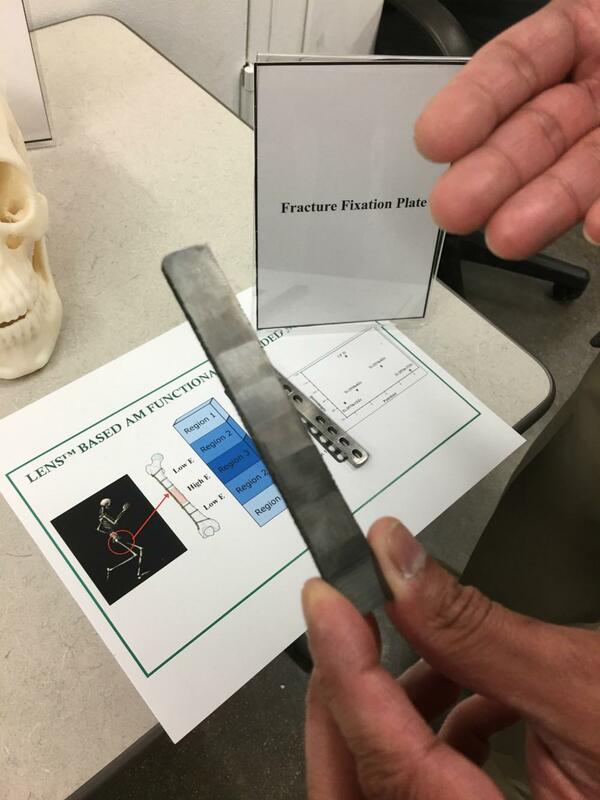 Banerjee says UNT’s lab has 3D-printed a new type of surgical plate material. Holding it in his hand, he says it contains surgical titanium in one section, but also niobium in another, and zirconium. This 3D plate is still years from use and must prove safe and effective. But it may be just what the doctor ordered. 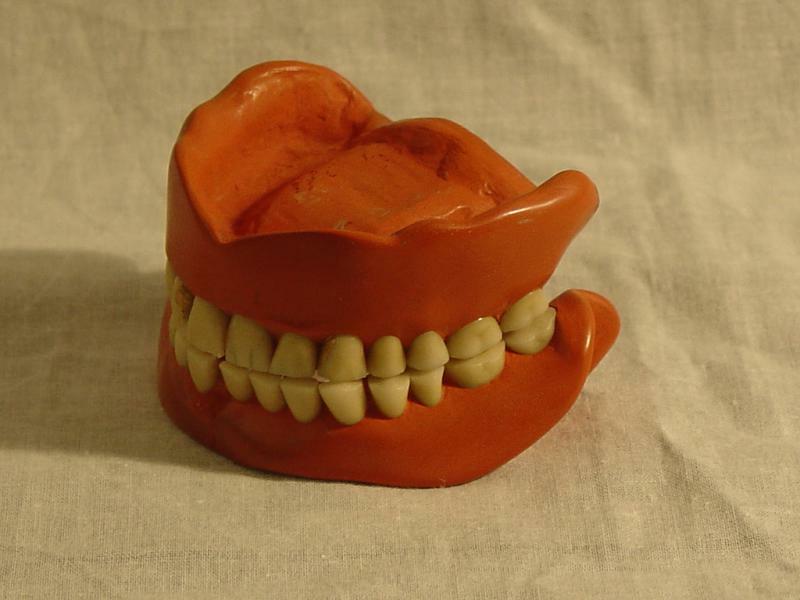 For Texas inmates who've been denied dentures by the state, a reprieve may now come thanks to 3D printing. This comes after an investigation by the Houston Chronicle earlier this year that detailed how difficult it was for many Texas state prisoners to get dentures they said they needed to do daily tasks, like eat and speak. 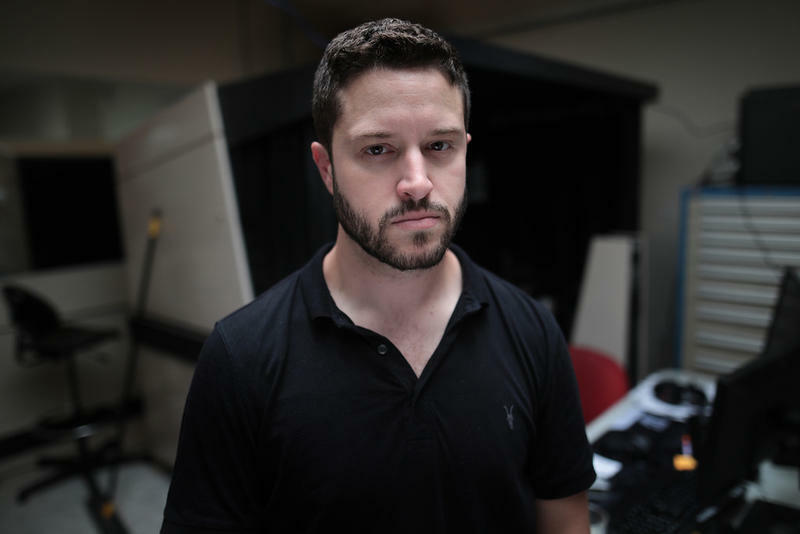 A federal judge in Seattle has agreed to extend an order blocking an Austin-based company from publishing 3D-printable gun designs on the internet.